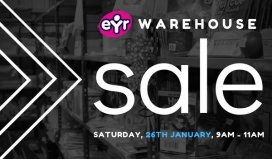 EYR will be hosting a Warehouse Sale featuring furniture, books, games, and toys at over 50% savings. Included on sale are chairs, storage units, bookcases, and tables. 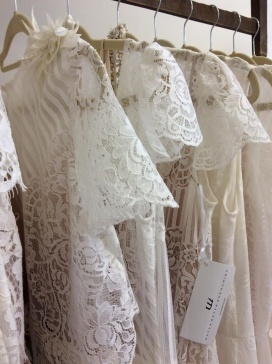 Shop for wedding dresses at reduced prices at the The Case of the Curious Bride Sample Sale. 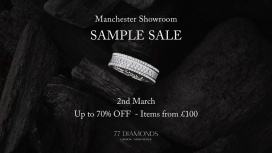 Take up to 70% discount on diamond jewellery at the 77 Diamond Sample Sale. 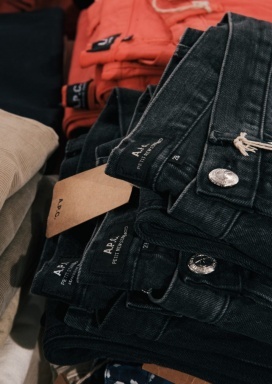 Shop for men and women's apparel at reduced prices at the Native Youth Sample Sale. 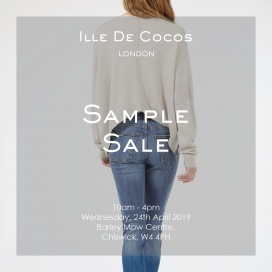 The Sample Sale will be comprised of one-off pieces, current, and previous season items. 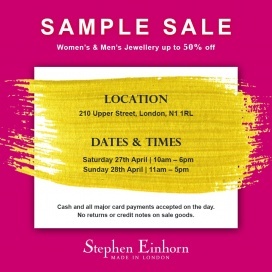 Shop for jewellery pieces at reduced prices at the Alex Monroe Sample Sale.